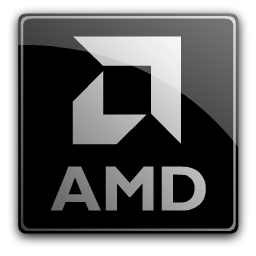 Note: You can download the latest AMD Radeon Crimson Edition Graphics Driver here. The Division may experience flickering in AMD Crossfire technology mode. DOTA2 toggling between borderless fullscreen and exclusive fullscreen can sometimes cause flickering or corruption when in AMD Crossfire technology mode. Some DirectX 9 applications cannot disable AMD Crossfire technology mode through Radeon Settings. A small subset of AMD Radeon R9 380 users may be experiencing slower than expected fan speeds. SteamVR Performance Test may experience flickering in AMD Crossfire technology mode. Stuttering or corruption observed while playing Fallout 4 on some graphics products in AMD Crossfire technology mode. Corruption in Hitman when using AMD Crossfire technology mode. Stuttering or freezing in some loading scenes while playing Hitman using AMD Crossfire technology mode. Negative scaling seen on Hitman when using AMD Crossfire technology mode. HDMI Scaling options may not be available in Radeon Settings on some system configurations or some applications may ignore the HDMI Scaling options setting. The option to enable/disable AMD Crossfire technology logo may be missing on some system configurations from the Gaming, Global Options tab in Radeon Settings. The Witcher 3: Wild Hunt inventory and character pages may exhibit flickering in AMD Crossfire technology mode. Notes: Product is based on the Vulkan 1.0 Specification and has been submitted to, and is expected to pass, the Khronos Conformance Process. Current conformance status can be found at www.khronos.org/conformance. Vulkan and the Vulkan logo are trademarks of the Khronos Group Inc. Vulkan and the Vulkan logo are trademarks of the Khronos Group Inc.